The OSEG 'vision' for Lansdowne — is this what Ottawa residents really want to pay for? 10:00 a.m. — 12:40 p.m.
1:30 p.m. — 5:00 p.m.
1:30 p.m. — 7:00 p.m.
19 June 2010 — It's always good advice to read the fineprint before signing a contract. Well, we have read the fineprint in the Lansdowne Partnership Plan (LPP) legal agreement and it contains several disturbing clauses that should be of concern to any reasonable and prudent person. The LPP Legal Agreement includes a clause to declare 12 acres of Lansdowne Park as SURPLUS which means it is SALEABLE. In addition, the retail tenant (the Ottawa Sports and Entertainment Group: Greenberg, Shenkman, Ruddy and Hunt) will have the right of first opportunity to buy the land, which means that competitive bidding for the surplus land will not be permitted. Pursuant to the Urban Park Project Management Agreement, OSEG will act as project manager for the construction of the urban park, which includes the front lawn and Sylvia Holden Community Park. Pursuant to the Urban Park Property Management Agreement, OSEG will manage the urban park, Aberdeen Pavilion and Horticultural Building. — Read the full article at CliveDoucet.com, 520 words. 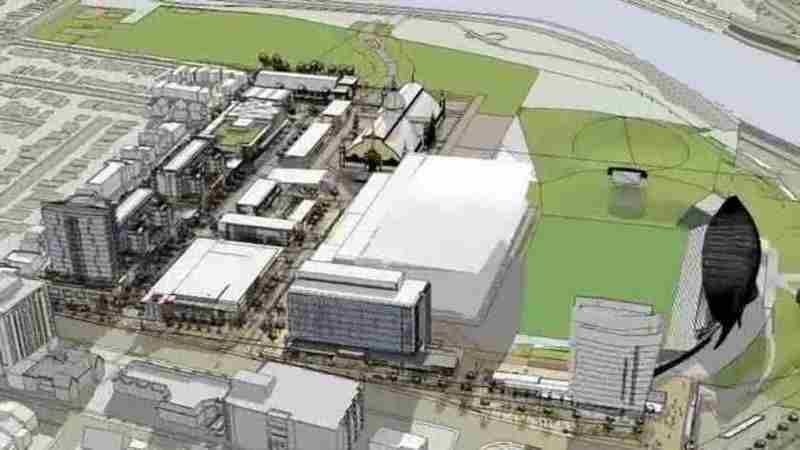 June 2010 — Following analysis of the City of Ottawa's ongoing negotiations to develop Lansdowne Park, researchers from Carleton University and Ottawa University conclude that the process is seriously flawed and likely to produce sub-optimal outcomes. Two papers recently presented to the Canadian Political Science Association conference in Montreal identify a number of concerns relating to the process being used to reach decisions about the use of public space and methods of financing commercial development. The paper by researchers at Ottawa University focuses on the financial arrangements and the adoption of a public private partnership (PPP) and highlights the contradictions that arise when trying to combine 1) a micro-level, private sector mindset geared toward short/medium term profitability with 2) a strategic perspective based on a macro-level, public sector concern for city-wide objectives and long-term societal benefits. In particular it raises a number of issues related to the arrangements proposed by the Lansdowne Live proposals: — Read the full article inside, 1,141 words. 'Entrepreneurs should create wealth on their own. 22 June 2010, OTTAWA — They are all honourable men; they just like to play Monopoly because the game is a lot of fun. I'm speaking of Mayor Larry O'Brien, his supporters on council, and the group of developers who would privatize at public expense what has been called the jewel of Ottawa. — Read the full article inside, 489 words. 10 June 2010 — The process to redevelop Lansdowne Park has been flawed and "illegitimate" and unlikely to produce a winning outcome for the city, according to four Ottawa professors. Three professors from Carleton University and one from the University of Ottawa presented papers at Ottawa City Hall on Thursday questioning the value of public-private partnerships, where they said municipal politicians can at times act more like cheerleaders than assessors. "When you have politicians getting so wrapped up in a given pet project...they forget that their role is to step back from any proposal or process and to examine whether it carefully covers public interest or respects public interest," said Carleton professor Robert Hilton. — Read the full article at CBC News, 519 words. Mr. Lee, MBA Director, Sprott School of Business, was speaking at a press conference at Carleton University, Ottawa, Canada. 7 May 2009 — I want to thank (Ottawa councilor) Clive Doucet for inviting me today to speak concerning the future of Lansdowne Park. I am a lifelong resident of Ottawa, a former Commercial banker and former Mortgage Manager in this city where I lent millions of dollars in residential and commercial mortgages and evaluated business plans and proposals from businesses. As Clive noted I have a PhD in public policy dealing with government policies towards business and I am the MBA Director at the Sprott School. Finally, I am a resident of the Glebe. However, I am speaking today not as a resident of the Glebe but as a business person who has traveled around the world teaching in numerous well known cities on every continent (except Africa). Today, I want to address the business issues surrounding the lansdowne Live proposal rather than the cultural or artistic or design issues. And I preface my remarks by stating that I am an unrepentant capitalist who supports small, medium and large business operating within the "rules of the game" established by the "referee" called government. — Read the full article at CliveDoucet.com, 712 words. >Prolific best-selling Ottawa author and publicist Randy Ray has developed a website to promote his publicity services, which he offers to authors, publishers and companies. Mr. Ray has helped many clients get their message out across Canada on CTV, CBC Radio, CH-TV, A-Channel and Global TV, and in the Globe and Mail, Toronto Star, Ottawa Citizen, Ottawa Sun, Halifax Herald and many Ottawa-area weekly newspapers. Mr. Ray's web site is: www.randyray.ca. He can be contacted at: (613) 731-3873 or rocket@intranet.ca.